When black comedian W. Kamau Bell was unceremoniously shooed away from his white wife and mixed-race baby by a server at Berkeley's Elmwood Cafe on January 26, he decided to make it a teachable moment — not just for the cafe's staff, but for anyone who believes racism doesn't happen in the progressive Bay Area. "The reason why it was such a bummer was that we chose to move back here," Bell said in a recent interview, referring to his and wife's decision to move back to Berkeley last year. "This is our home. My home is not a place where that happens. Not just to me, but to anybody." 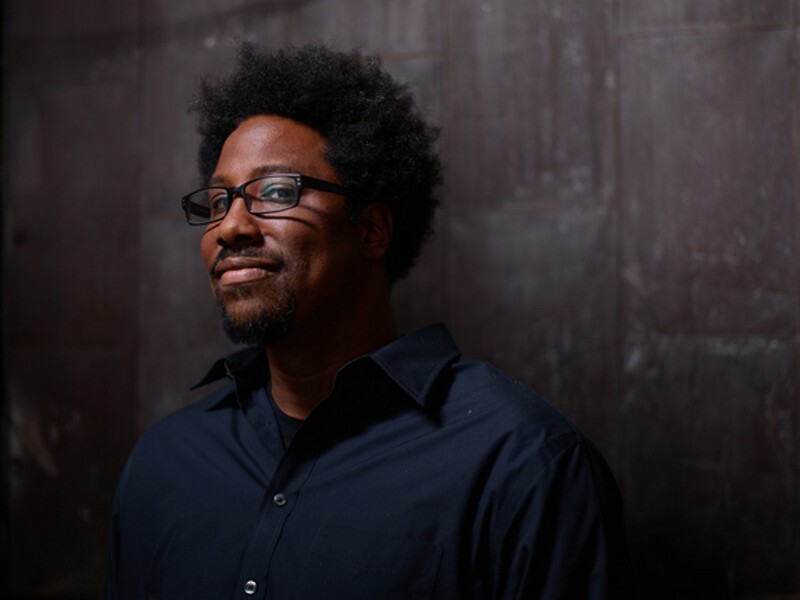 Bell has been a popular Bay Area comic for years, and first gained local fame for his one-man show, The W. Kamau Bell Curve: Ending Racism In About An Hour. In 2012, he moved to New York to host his own political comedy TV show, Totally Biased with W. Kamau Bell, which premiered on the FX Network (Chris Rock was the executive producer). After Totally Biased was canceled the following year, Bell and his wife, Melissa Hudson Bell, moved back to the Bay Area to have their second child, and begin filming his forthcoming show on CNN, United Shades of America. 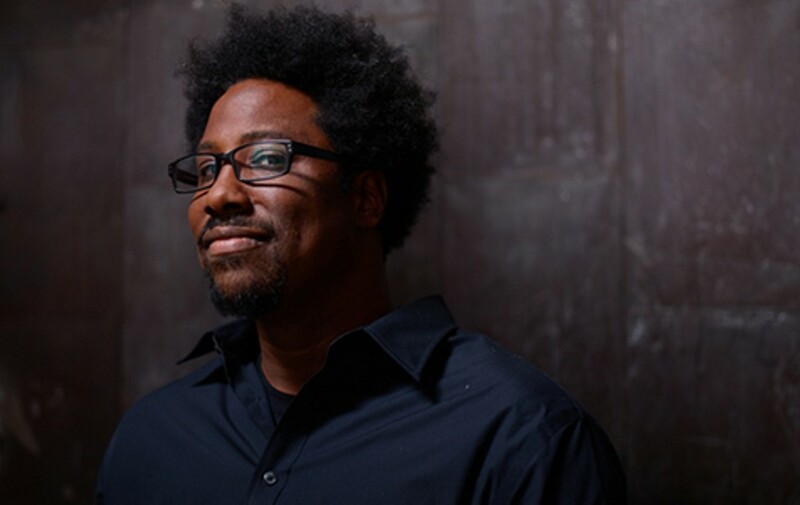 Although Kamau Bell has written about race for MSNBC and Vanity Fair, he and his wife decided to co-write a recap of the racist incident at the Elmwood Cafe and post it on his personal blog instead of pitching it to a magazine. The post quickly went viral. "There are times when I know I'm stepping into it, and this was one of those times," Bell said afterward on his podcast, Denzel Washington Is the Greatest Actor of All Time Period, co-hosted by comedian Kevin Avery. "What I didn't know is how deep I was stepping into it." Bell said on his podcast that after he and his wife published the blogpost, "[W]e got to our house and there was a business card from the local NBC affiliate that was just stuck in our screen door. No note or anything, just like, 'We know where you live.' ... It was like a summons or an eviction notice — you've been evicted from a sense of privacy." Since then, Bell has been reluctant to talk to the media about the Elmwood Cafe incident. When I first tried to contact him in February, his publicist said: "Kamau has said all he has to say on the matter. He is currently scheduling a public discussion about race relations in the Bay with the owner of Elmwood. As soon as those details are finalized he is happy to talk to press. There is nothing new to report until then." The public discussion took place on March 13 at Willard Middle School in Berkeley. Though the event was free and open to the public, the entrance was guarded by bouncers. Camera crews were not allowed inside. Bell seemed nervous before the event started, saying "I've never done anything like this before." He had enlisted the help of several experts. In addition to Bell's wife, Hudson Bell and Michael Pearce, the owner of Elmwood Cafe, the panel of speakers included Kadijah Means, president of the Berkeley High Black Student Union; Novella Coleman, a staff attorney for ACLU-Northern California; Nikki Jones, a UC Berkeley sociology professor; and Jamie Almanzan of The Equity Collaborative. Pamela Harrison-Small, executive director of the Berkeley Alliance, facilitated the panel and moderated the audience question-and-answer session. At the beginning of the forum, Hudson Bell recounted the events at the cafe. It was Bell's birthday. The couple had breakfast together at the Elmwood Cafe without incident. Hudson Bell later returned to the cafe without her husband to meet up with a social group for new mothers. When Bell later tried to join them, a server at the cafe gestured at him that he needed to leave. When Hudson Bell demanded to know why the server had tried to shoo her husband away, the server replied that she "thought he was selling something" and that it "wasn't a race thing." The Bells disagreed. According to Pearce, the server never reported the incident to management and he only found out about it after Bell published his blogpost. Pearce then fired the server. "Someone left the cafe feeling unwelcome and uncomfortable there — I just don't think we can have an organization like that," Pearce explained at the forum. "I see no middle ground on that." He then asked, "Who thinks that I should have fired the waitress?" About half of the audience raised their hands. A few clapped. "Who thinks that it wasn't the right move?" Again, about half the audience raised their hands. Several abstained from voting altogether. "We realized that there is no training for retail and restaurant workers on implicit bias, and there really should be," Pearce added. "We're going to start a program on implicit bias training and education for people in the service industry. We will go door to door to all the other restaurants and businesses in the Elmwood and offer them the curriculum so they can implement it. It will eventually be available to every retail business and restaurant in Berkeley and that will make Berkeley the first city in the United States that has those curriculums available to small businesses." Pearce has registered the domain name ImplicitBiasTraining.com, but so far not much is there. The website encourages people who want to give input on the curriculum to contact info@implicitbiastraining.com. Several people in the audience wanted to know how Bell knew that the rudeness he experienced was racially motivated. Weeks prior, on his podcast, he had said, "When we had breakfast [at the Elmwood Cafe] earlier that morning, there was a white dude in a blue hoodie with dreadlocks who sat there the whole time we were eating breakfast spare-changing everybody who walked in and out of the cafe." Bell said he didn't recall seeing any cafe staff members asking the man to leave. Instead of retelling this aspect of the story at the forum, Bell simply replied, "So what if I was homeless?" Several in the audience applauded. He later added, "Let's say I'm wrong, and that it wasn't a racist in that one particular incident — which it was — it still happens to people of color every day." When we spoke a few days after the forum, he reflected on the incident and his hectic schedule. "Today I'm home for 24 hours. ... I'm going to see my kid this afternoon, put her to bed tonight, and then I'm going to [fly out] before she's up in the morning. That's why it's important to me when I'm at home that it feels like home. The worst feeling is to go home and feel like home doesn't want you there. "I will rep the Bay Area to the ends of the earth," he continued. "At the same time, I can't rep the Bay Area better than Boots Riley can. ... I know who's in charge: Too $hort, Boots, E-40. I'm just happy to be here too, guys. Can I be here, too?"